Been getting frustrated at not being able to get this completed despite numerous runs around the zone. 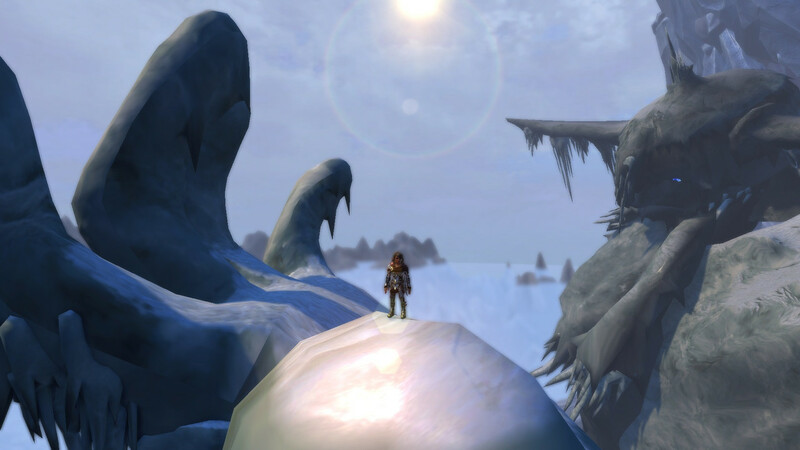 Seen lots of online conversations saying it is bugged but also came across the thread below from the Developers posted in January 2018 which states "Icespire Mountaineer: This achievement had been made impossible to complete a long time ago, and is now properly removed from players' achievement lists." However I can still see it in my list, should it have been removed along with the numerous epic dungeon achievements that cannot be completed as the epic versions have been removed from the game? Think an overdue clean up of the achievements is needed, if its not possible to achieve then why is it still there? Probably because they eventually intend to bring all the old dungeons back in epic form. But of course it may be forever that they do, but easier to just leave the achievements there until they do. Dungeon achievements and "Icespire Mountaineer" are different things. That one isn't dungeon related, it's about exploring every inch of Icespire Peak. It was supposedly removed from everyone's achievement list, but it's still on mine too. It doesn't show up anymore for new characters, but it never disappeared from old characters that I've seen. The rumor I heard about Icespire Mountaineer is that one of the waypoints needed to trigger it was accidentally placed WAY outside of anywhere the player can go, but for some reason moving it wouldn't fix it or something? I was never clear on it all. It came up back during the October Bug Fix thing year before last (ROCK-TOBER!!!). The devs expressed a desire to actually fix some of the achievements instead of getting rid of them, but acknowledged that it might just not be practical, resulting in the above. For the dungeon achievements though, I've got a couple holes in there as well (Epic Dread Vault *le sigh*). Some day, some of those may be obtainable. I'm not getting my hopes up though. Icespire Mountaineer sounds a lot like Cold Run Explorer --- hit a bunch of waypoints and you get the achievement. I'm finding it kinda ... hard ... to understand why it hasn't been fixed. It sounds like it should be easy. I spent many hours tonight trying to get it to no avail, and it sure wasn't for lack of trying. Actually....I am optimistic regarding the skirmish achivements that people may be missing because they outleveled them. There was one comment a while ago, which was interpreted as "Once we have scaling working properly, there is no need for the upper level limit on the skirmishes, so we can remove that so people can go back for the achievements. Expect this somewhere between M16 and M17". Not an official comment, just a developer responding to a question, but it does sound reasonable, and would be appreciated by many.